Any complication associated with a developing bedsore can create a prolonged hospital stay, lasting intense pain and a diminished quality of life. Pressure sores usually occur on bony prominences, where blood flow circulation has been restricted for an extended period of two hours or more. Without proper treatment, the localized affected area often has significant skin damage where the necrotic tissue creates an open wound. The elderly, critically ill individuals, diabetics and those suffering with mobility issues are at greatest risk of developing a bedsore with complications. A bedsore (pressure sore; decubitus ulcer; pressure ulcer) initially displays as persistently red, broken or blistered skin. As it begins to develop, the condition can extend to the patient’s underlying structures including bone, ligaments and muscle. At an advanced stage, the pressure sore can be exacerbated by friction, sheer and pressure. Without proper treatment, the patient can easily suffer severe cellulitis (deep tissue infection), osteomyelitis (bone infection), gangrene, sepsis (blood infection) and necrotizing fasciitis (flesh-eating bacteria). The infection caused by the bedsore can easily spread to the deep layers of skin causing cellulitis. In addition to redness and extreme pain, significant swelling can occur on the patient’s skin. Without an effective course of antibiotics, the patient can suffer serious life-threatening infection that can easily spread to the joints, bones and bloodstream. If the cellulitis occurs on the sacrum or lower back, the infection can easily penetrate into the spinal column and eventually the brain. Infection to the bone (osteomyelitis) and joints (septic arthritis) can cause significant damage to the patient’s bone, tissue and cartilage. Typically, the only effective treatments are heavy doses of specific antibiotics or surgical removal of joint and bone tissue. Gangrene is a serious but rare life-threatening infection produced by the gas emitted from clostridium bacteria. This type of bacteria flourishes in damaged body areas with minimal or no oxygen at all. The bacteria produce harmful gases releasing dangerous toxins into surrounding tissue. Usually, the victim suffers significant pain where the skin swells at a rapid pace. Without surgical debridement, where the dead and infected skin is removed, the patient will likely need amputation of every affected area to ensure the gangrene does not spread throughout the body. Sepsis is a common complication in patients suffering from pressure sores. This serious blood infection can rapidly progress throughout the body causing organ failure and death. Without proper management, the patient can suffer septic shock, where they have a 50-50 chance of survival. Common symptoms involve a fever, lethargy, agitation, anxiousness, diminished awareness and loss of appetite. If the bedsore becomes infected with Group A Streptococci bacteria, it can produce necrotizing fasciitis, a life-threatening condition that causes the rapid death of affected tissue. Often referred as “flesh eating” bacteria, necrotizing fasciitis requires immediate medical treatment that often involves surgical debridement (removal of dead tissue) and specific antibiotics. Squamous cell carcinoma is a serious complication of non-healing, chronic wounds like an advanced stage pressure sore. Typically, the cancer is extremely aggressive, where effective treatment requires surgery. The mortality rate is high for patients suffering serious complications associated with a pressure sore. Unfortunately, evaluating osteomyelitis and other serious conditions associated with bedsores is often inaccurate, even by trained medical staff at the nursing home, assistant living facility or hospital. When misdiagnosed, the patient can suffer additional serious complications or death. Because of that, it is essential to hire skilled medical professionals who specialize in treating pressure sores. Without it, the patient can experience increased pain, reduced quality of life or death. Nearly every type of advanced stage bedsore is preventable. When a patient acquires a pressure sore while staying at the facility, it is often an early warning sign of neglect. Without immediate legal intervention, the patient could die. Because of that, many families will hire skilled attorneys to stop the neglect and hold those responsible accountable for their actions. 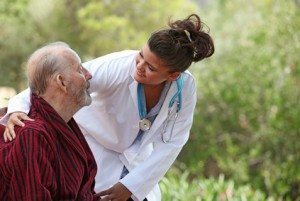 Nursing Home Law Center LLC at (800) 926-7565 can evaluate every aspect of your bedsore case in an initial, no obligation consultation. Because pressure sores can advance to deadly stages quickly, it is imperative to take immediate action by calling our legal team today.